This month, I’m giving away a 9-Tray Excalibur Dehydrator to one of you. I’ve been looking at this dehydrator for a while. I sold one (not this nice tho’) at a yard sale before I became a real foodie…ah regrets! I went to a dehydration course and she used these, (great item) and ever since I’ve kicked myself for not buying one, so maybe I could win one! thank you for a chance to win….I have always wanted that particular dehydrator!!! it’s the best…. ooooh. to me this is like a ticket to candy. other people crave sweets and junk, i dream of dehydrating everything! I hope I win. 🙂 This dehydrator would be great for some friends of mine with three children! If I win, it’s going to them. Looks like a wonderful dehydrator! I’m hoping to win this for my friend…she could benefit so greatly from this as she has just recently switched to real food as she tries to tackle her current health concerns. Thank you for this opportunity…and for your wonderful blog! Would love to win this for my DIL and grandchildren! Thank you for the opportunity. Is this only open to a certain country? I am in Australia and have drooled over one of those dehydrators for over 15 years. Now I have 4 children I would really find it useful. Hi Jen! The fine print (found inside the Raffelcopter widget) says that winners outside the U.S. will get an Amazon gift card equal to what the prize is selling for on Amazon. If your country has a local Amazon (i.e. AmazonUK), I’ll buy the gift card from there. If not, I’ll buy the Amazon.com gift card. Amazon.com does ship a lot of inventory overseas, but it varies from product to product. So, I use the gift cards as a solution to what would otherwise be weird shipping hassles. Awesome giveaway – thanks for the chance to win, and all the fabulous blog posts too! What a wonderful product,would be awesome to win! Love useful gifts! Thanks for a great giveaway. It would be so much fun to use this. Thank you for a chance to win this wonderful dehydrator! Love your sense of humor. would love love to win this!!! Have wanted this one for a very long time. Yes please and thank you very much. I’ve been wanting this dehydrator for a while now. Thanks for the giveaway! Good luck to whoever wins it! Oh wow, have wanted one of these for so long! You don’t know how excited I’d be if I won, lol! Thanks for the opportunity! We have been asking santa for one of these for years! It would be so amazing to win one! Thank you for the opportunity! Oooh please please please!!! My husband and I are switching to a 100% real food diet in September and this would be such a big help!!! I just found your site through a friend of mine… I’m exploring ways to eat healthier, and eliminate as much “junk” from our diets as possible. I have a toddler who loves dehydrated veggies but won’t eat any regular ones =.= I would be THRILLED to have something like this to use so I don’t have to spend the $8 per package of dehydrated veggies that I have been spending at the store each week. This would make life with my toddler soooo much easier. It’s one of those things I’d love to have and would make good use of but money is tight, will be a long time before I could buy one! I am so excited about this contest. When I saw it on your FB page I just had to enter… My round dehydrator died and I’ve been trying to save up money for this one- but something always comes up! Great Contest. Good luck to everyone! I have been dreaming of having one of these for YEARS!!! Thank you for your giveaway! I have been wanting one for a very long time! Good luck to everyone! Thanks for having the giveaway. So awesome! I have wanted this dehydrator for a couple of years! Would be a dream come true! Thank you for the opportunity! I have been eying up one of these beauties for a long time! Thank you so much for choosing this for this months giveaway! I would love to have such a dehydrator! Thank you for this opportunity. I learn so much from your website and am blessed by what you have shared. That would be awesome! Our round one died a tragic death of overuse…. I’ve been wanting this dehydrator forever! I would love to win this…thanks for the giveaway opportunity! I’ve been looking at dehydrators and recipes that use them for a while now – winning would certainly help push me that final step to start making all the yummies I’ve been reading about! I have enjoyed all your facebook posts and the time you take to help us enjoy life and be healthier. The link to win the Excalibur dehydrator is right up my alley – have been borrowing a friend’s dehydrator for nuts and other garden veggies for a couple of years and see that the timing is perfect for my own. Thanks for the great website and helpful perspectives. Food renegade! Love the name! In this crazy socio-political climate where words and intention are often designed to mislead and confuse, it is important to become more aware of the possibilities that come with taking greater control of your physical and spiritual landscape. A good food dehydrator is a good step in that direction. Good one, Kristen. Thanks so much for this wonderful giveaway! I’ve been wanting one of these for some time now! Oh I really hope I win this! Hooray for more counter space!! What a great contests!! Thanks for sharing it with your readers. Would love to be able to dehydrate items. I already subscribe to the newsletter and find it wonderful. The dehyrdator is on my wish list. I love the idea of owning a food dehydrator. Thanks! I would be so excited to have a food dehydrator for our family! I suscribed. You have great giveaways! I so need a new one! I had to downsize when we moved last year, and now have to repurchase things. This is on my list! Just going to add that my dehydrator is my favorite (and only long term) kitchen gadget. Far more useful and versatile than I ever expected. Thanks so much for the entry opportunities to win this very covetable dehydrator! If I am lucky enough to win and you only ship to US and Canada, I will gladly pay for postage to South Africa 🙂 Looking forward to your newsletters too. So glad I found your site when looking for a recipe for homemade Worcester sauce, thanks again. Oooooh, I hope it’s me! I first came across the Excalibur at a friend’s house and I’ve had dehydrator envy ever since! I bought a book on dehydrating a few months ago and am very keen on the Excalibur! Thank you for the give-away and all of the amazing information on your blog. Love it! I do hope to win the dehydrator but am happy to also find your web site offering a newsletter featuring food, recipes, nutrition and health articles. This would be wonderful for all the tomatoes ripening later this season! We will be moving soon to start a homestead. This would be an awesome product to take along on our journey! I recently subscribed to your newsletters and I just want to say thank you for such a wonderful website! I love the variety and the interesting and informative posts! I have learned so much and I’m inspired to make healthier choices! You really go beyond other websites by giving links where to purchase hard to find products at a great price. You are my new favorite and I look forward to reading you everyday! Sold my old dehydrator at a yard sale 15+ years ago. Way before I cared about what I was eating. It’s be so great to have one back in my life again. Wow! What a great prize! I have been looking at this dehydrator for 3 years now but haven’t been able to afford it. I dry jerky and other things in my gas oven right now and it’s a pain. Good luck to everyone and whoever wins, Good on you! Thank you for funding these giveaways. I’m just starting my journey and you have really helped. So thanks for that, too! Wow, this is great! Thanks for the chance to win a wonderful product. I have a special needs grand-daughter (rare chromosome micro-deletion) that we are trying to help with a healthier diet. This would be such a blessing. Even if I don’t win, I will save up to buy one. This dehydrator would make me and my family’s life better! Just in time for school lunches too! I already get your newsletter and enjoy it. Thank you for the chance at this giveaway. I’d love to have this for my mom and I as we continue our journey to better health. Love your posts! I am learning so much, and I aim to try something new each day. I’ve been wanting one of these Excaliburs for soooo long! Perhaps today will be my lucky day? Thanks for the chance and for all your wonderful newsletters, they are always stocked with info I actually WANT to know. Thanks for this giveaway. I have been wanting a dehydrator for a while. I would love to make crackers, fruit chips, snacks, and more. I love this dehydrator. OMG that is soooo cool. Crossing my fingers! Thanks for hosting giveaways. Awesome knowledge and advice that keeps giving and changes how families eat! LOVE IT! would love to win one of these!!!!!!!!!!!!!! Great website! I’m a sahm and would love a way to make healthy snacks on the go for my family. Hoping I win this! Thank you for being such a great advocate for great, healthy food and getting the word out about real food! YES PLEASE!!! I have a cheapo little dehydrator that just isn’t up to scratch, an Excalibur is just not in my budget, thank you for the chance! oooooh…this is a great give-away! i’ve been wanting a dyhydrator!!!! thanks for your generosity! Thanks for the opportunity to win this. I’ve been wanting to get one for awhile and this is a great opportunity. Thanks again! Yay! That would be GREEEAT! I so need this!!! Thank you! Stumbled across this post when a friend suggested your Jalapeno Poppers with Serrano Sour Cream Dip to me. Interesting to use whipped whites for the batter. So glad I found this site as we are about 80% whole foods at our home. Lots of gardening and preserving here and butchering our own meat as we are able. Love, love, LOVE the Excalibur. I have an entire Pinterest board devoted to dehydrating. Would loooove to win this! My husband and I have been dreaming of a food dehydrator for a while now! I have wanted an Excaliber for years and years! I just haven’t made it a priority buy, to win one would be sooo awesome! In the meantime I borrow a different brand from my mom and make all kinds of things from dried fruit to jerky! 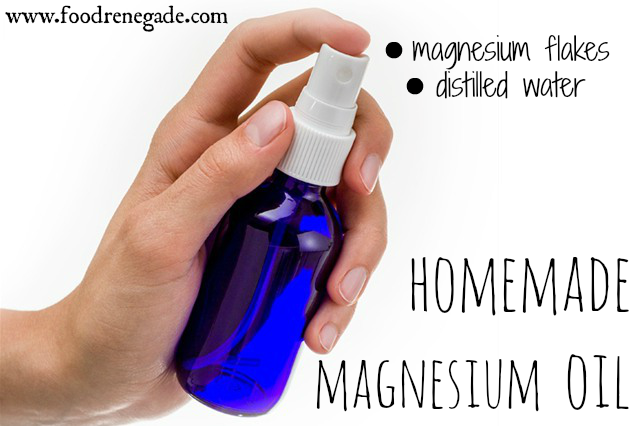 This is a fabulous product. I would like to dehydrate spices and veggies and make fruit leathers with the Excalibur. i’ve been dreaming of a dehydrator and drooling over all the cool stuff i could make for ages. fingers crossed! Great gift! Hope to win! Found your site AND this giveaway at the same time! What luck — may it continue. So excited! I have been wanting to get one but haven’t had the money! Hopefully some luck will come my way! Thanks for the chance at a great giveaway! Love your articles! newsrewards email may not show up on the rafflecopter entry…not sure how it works. 🙂 But that’s me! Thanks for the opportunity! So exciting too that it’s open to Canadians! 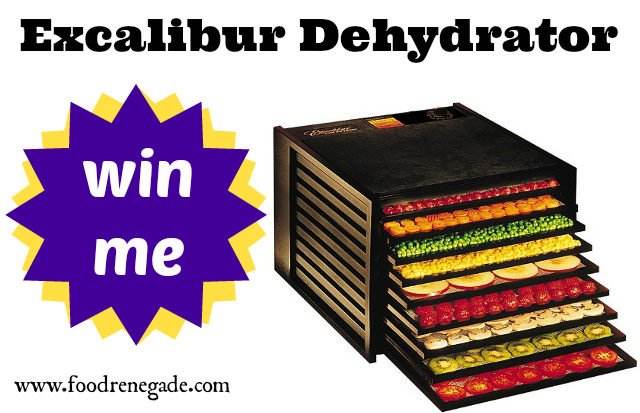 Thanks for the chance to win this awesome 9-Tray Excalibur Dehydrator. I would be a great addition to kitchen. I have just started to turn my life around by eating things as close to nature as possible. It is very interesting to me and I am excited. Using a dehydrator makes sense and if I don’t win this one, I will be getting one for myself soon! Glad to be a part of your website. Thanks for offering this! Crossing my fingers! Yeah Food Renegade! Yeah Excalibur! Thanx for the chance – very generous of you!! I’ve never used a dehydrator before – never say never. I specialize in Holistic Rejuvination and I just want you to know what a great job you are doing…keep up the great work. Love your web site. Thanks for the opportunity to win, Kristen! Love your site and from the reviews, this powerhouse of a dehydrator looks great. Not having to turn on the oven (even on low) in the Texas summer to make kale chips or jerky would be AWESOME! Keep up the stellar work, lady! I was just telling my husband how much I want one! We live in a dinky RV and rely on bottled propane for cooking so I either can use propane (expensive) or the sun. It would be so much more convenient and less expensive with a real dehydrator. I hope you pick me! Thanks! So ready for this Fall and Winter and I’ve never had a dehydrator. This would come in so handy and I thank you for this opportunity! My real food cooking wishlist is getting pricey. I’m afraid to even add it all up! I want a $500 blender, a $35 slicer, $40 slow cooker, $200 dehydrator, various silicone tools, and all that on top of the already higher cost of organic and grass-fed. I need a 2nd job! The dehydrator isn’t high enough on the list to be acquired any time soon…unless I can win it! That would be soo cool! I haven’t won anything since a church event doorprize 8 years ago! The oven that came with my rented apartment doesn’t go lower than 230F, which is why I really could use this for making crispy nuts, jerky and dried everything else! Thank you! Thx! I’ve never tried dehydrating food. I’ve read about the health benefits and anticipate all the tasty foods to come. I would be so so so delighted if i were to win this amazing machine! Vegetable patties, bread and fruit bars is on my list and I am sure I will use it daily! Awesome site. I’d love one of these! Was saving up for one of these and was nearly there but then my stand mixer broke. I would love to give this prize a happy home! Never dehydrated anything, but I’ve thought about it in the past and it is a very good idea. So pick me!!! Definitely on my wish list!! Love to have one! been wanting one of these for a long time! Thanks. Would looove to make homemade kale chips and fruit leathers. Thanks!! I had a dehydrator years ago but didn’t use it much. Now we are trying to eat healthier and one of my daughters just informed me that her and her husband were very happy to inform us that they are expecting child #6. I believe this will help all of us to learn better food habits. I appreciate the opportunity to get one of these. Very nice of you no matter who receives it. Would be a dream come true to own this fab machine. Good luck everyone!! I had one of these! In fact, I grew up with it. We had it, and used it a lot until our home burned in one of the Colorado forest fires. My kids loved when I made fruit leather! I loved drying all sorts of things for snacks and for storage. Thanks for the great website, and a chance to win a new Excalibur Dehydrator! Thank you for giving people a chance to win this! I have been checking these out for a while but right now it is out of our price range. Love the fact that you can set different temps. Thank You for the opportunity to win. Interested in learning more about good food. It has been one of my goals to do some dehydrating for my busy family. I hope to win!! I need one of these! Thanks for this giveaway! Very exciting! My Pinterest is minstrelofgrace, btw. What a great giveaway! Love your blog and facebook page! I’d love to enter. Said it wasn’t accepting any more entries. Curious as to if the winner has been announced? I have been praying for one on these I really need it for my health. I hope it is not too late.